Not only is the new Helmert Hearing Clinic mobile-friendly and responsive, but the new website also has a fresh color scheme. The homepage provides easy navigation so that visitors to the site can find services and quickly contact the office. 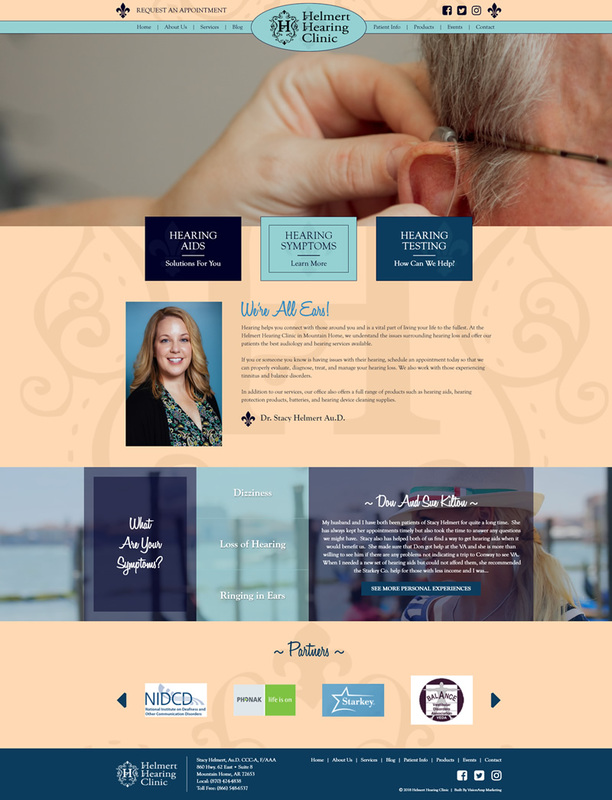 There are also large call-to-action buttons on the homepage that send visitors to more information about the most popular topics and symptoms surrounding hearing loss. The new site also features more imagery, a products page, an events page, and a blog. Helmert Hearing Clinic provides a comprehensive array of services related to evaluation, rehabilitation, and prevention of hearing impairment. These services include comprehensive hearing evaluations, specialized diagnostic testing, and occupational hearing screenings.